In 1986, Josephina Howard opened a fabulous restaurant on 58th and First Avenue in New York called Rosa Mexicano. My first visit was in 1988 — and I’m pretty sure I have visited Rosa’s every year since. It helped that they opened one in DC, where Husband visits frequently for work. And (finally!) last year, they opened here in Minneapolis. Over the years, we’ve introduced many friends to Rosa Mexicano – including our friend Doug. And everybody gets hooked on the guac. Sometime in the early 90’s I was in New York on business, and stopped in for a “fix.” Josephina had just published a cookbook — which included the famous recipe. My carry-on for the trip home included the book and a molcajete I bought just to make the guacamole. It still holds the record for heaviest carry-on ever! Nearly twenty years later, I’m still lugging that wonderful treasure out of the cupboard to make a batch of the the best guacamole on the planet. Holding the avocado in the cup of your hand, split it in half lengthwise in strips, then across, forming a grid (cut through the flesh only, not into the skin). Sccop the avocado out with a spoon. Toss in a serrano chile (instead of the jalapeno) if you want to kick up the heat, and adjust the flavors to taste. Bueno! I remember taking you to Rosa’s in New York in 1988! You later got the recipe and gave it to me, and I have been making it ever since. It is the best guacamole ever! I was in Atlanta last week and had my birthday dinner at Rosa’s, starting with the guacamole, of course – and a couple of margaritas! Soooo good! That dinner in 1988 has resulted in a TON of new Rosa fans! is always someone having a party and we all bring some sort of new dish/app. put a couple in our cookbook here at Windward Point. The Mexican Relish is a fav. my shower is up to 40 folks but I can do this. YES I CAN!!!!!!!!!!!! Yes you CAN! Tell me more about the Mexican Relish!? FOR YOUR MOM THIS WEEK. HOPE SHE LIKES IT. I have not!! Sounds delish! Email me the recipe!? 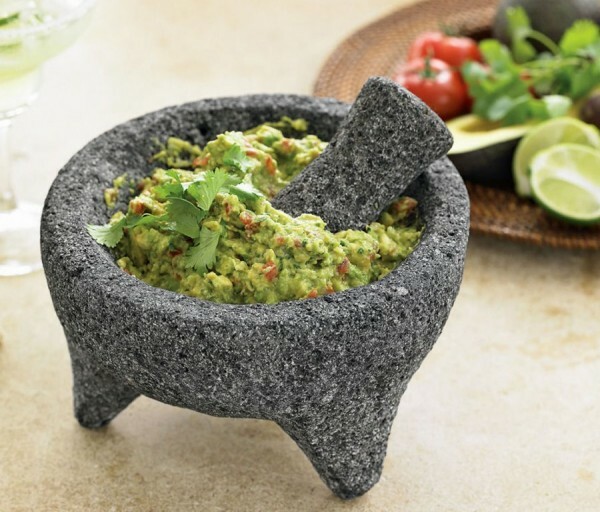 How can I get the fabulous guacamole recipe? Denise – well, as usual, in my haste to post, I forgot something! I’m going to update this with the recipe shortly! Thanks! Rachael! So fun to have you here :) Thanks for stopping by!